Hypnos is a long established bed maker, with over a hundred years of experience, making the most comfortable beds in the world. They have held a Royal Warrant since 1929. Each Hypnos bed is made to order, made to measure and made by hand. Their craftsmen place the elements of quality, comfort and exquisite hand tailoring above all else, ensuring years of sumptuous and comfortable sleep. Using traditional methods and natural fibres, each Hypnos mattress represents the best of British quality. 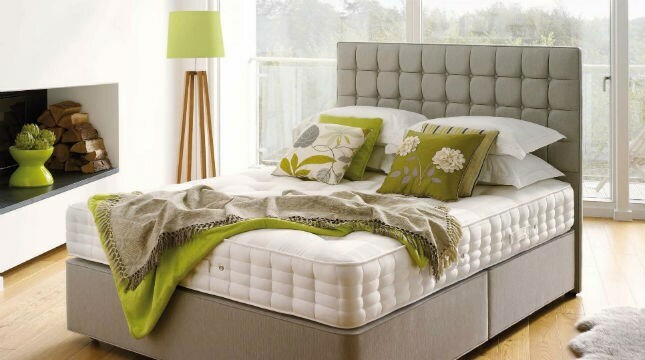 Hypnos were the first bed manufacturer in the UK to achieve carbon neutral status and their beds are 100% recyclable.